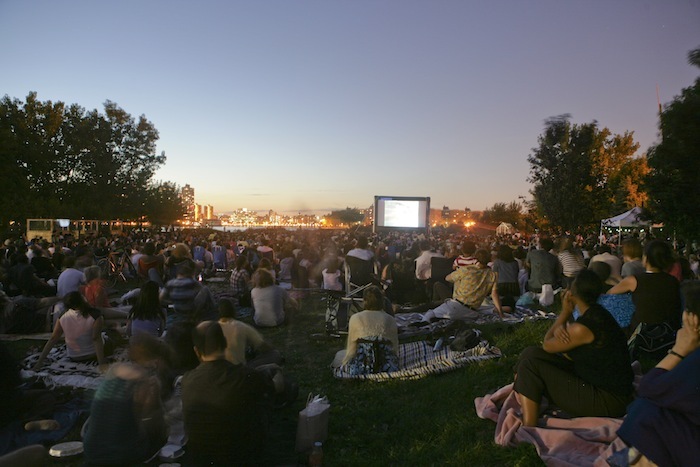 50 things to do this summer in Astoria, LIC, and surrounding neighborhoods in Queens! 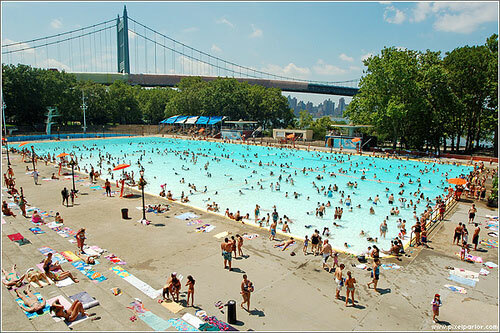 Our much beloved public pool located in Astoria Park opens June 29th. Get all the info you need before you swim here. 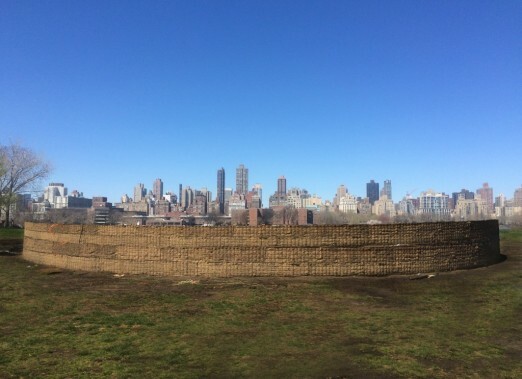 Once an industrial landfill and illegal dumping ground, Socrates Sculpture Park is now a crown jewel in the Western Queens art scene. Don’t miss their 30th anniversary installation, LANDMARK, which transforms the land both physically and symbolically. 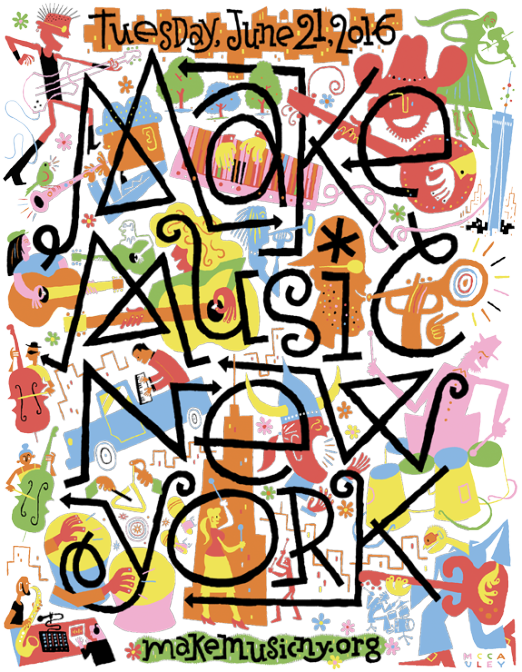 Warm Up is a not to be missed- expect a mix of experimental music, sound, and DJs- all right here in our backyard. Local residents with proper ID get in free, get the full scoop here. 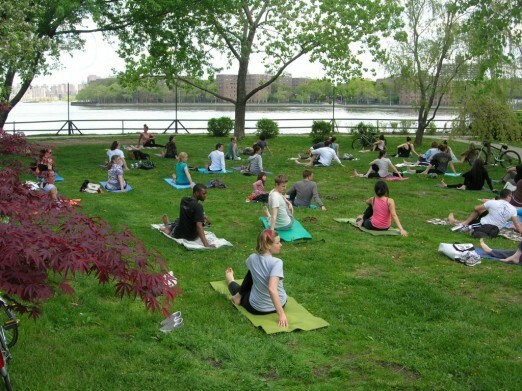 Grab a mat and head over to the Socrates waterfront Saturdays & Sundays this summer for free yoga in the park. Get the schedule here. 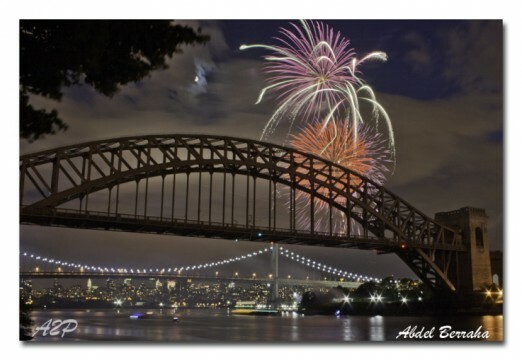 Celebrate the 4th Astoria style at the annual fireworks display in Astoria Park. 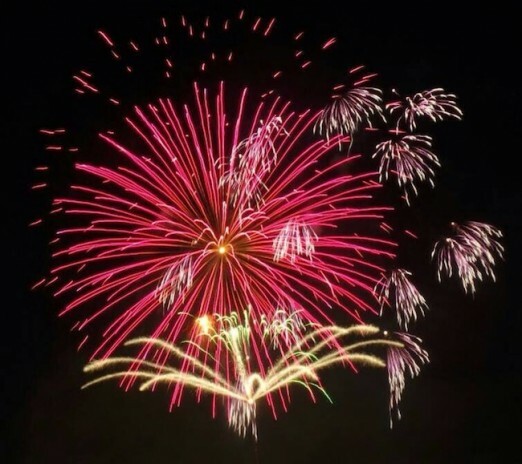 PRO TIP– this year’s celebration happens June 30th. Did you know Tom Sachs: Tea Party is the first work by a single artist other than Noguchi to be shown at the Noguchi Museum? This unique exhibition reworks the traditional Japanese tea ceremony, and it’s on display through July 24. Don’t miss it. Kick off Queens Pride with the annual bash at Studio Square on Thursday June 2nd. 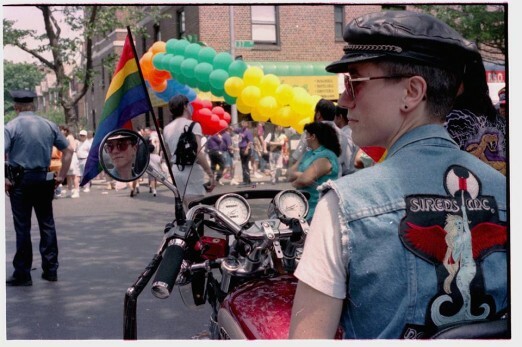 Keep the good vibes going at the Queens Pride Parade in Jackson Heights on Sunday, June 5th. 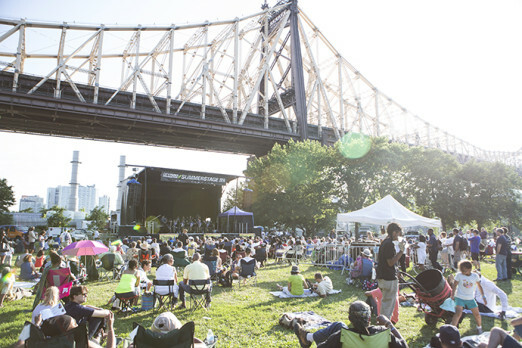 Enjoy country, jazz, and doowop on the waterfront this summer in Astoria Park. Check out the full line up here. Concerts start this July and continue into August with Bon Journey, the Bon Jovi cover band. (!!!) 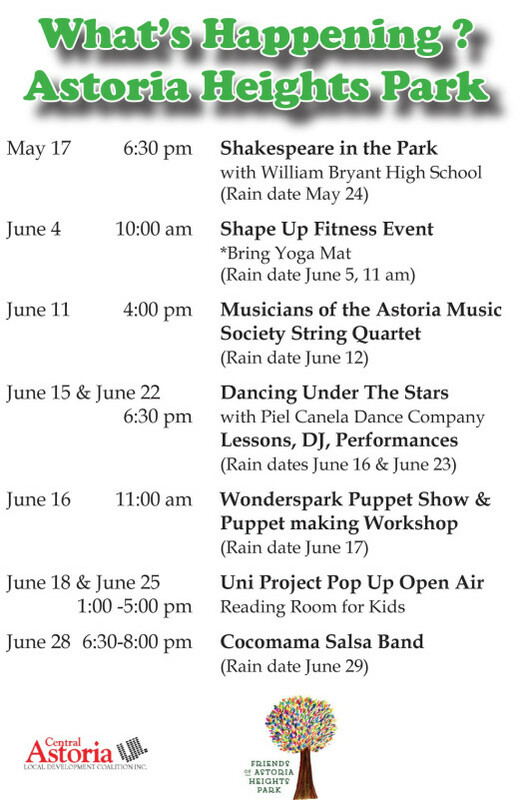 Our full list of outdoor performances in Astoria and Long Island City can be found here. 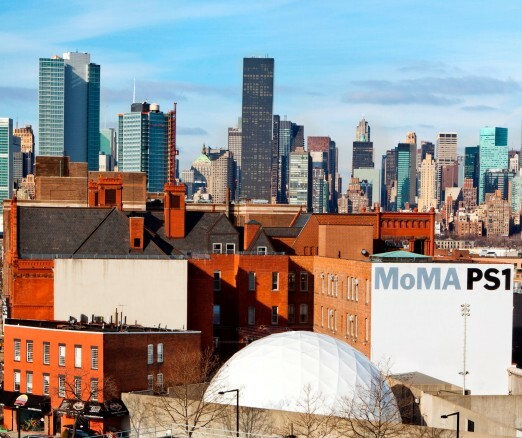 Did you know Queens’ own Brooklyn Grange is open for tours twice a month? 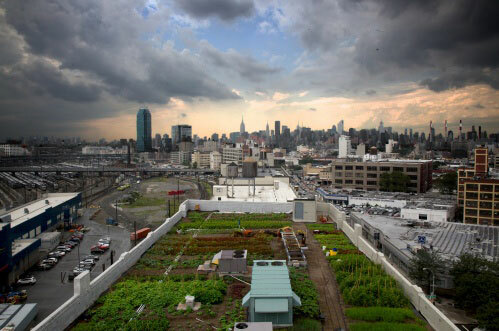 Tour the roof, learn about urban agriculture, and take a gander at their farm stand. The tours meet at COFFEED on Northern Blvd. 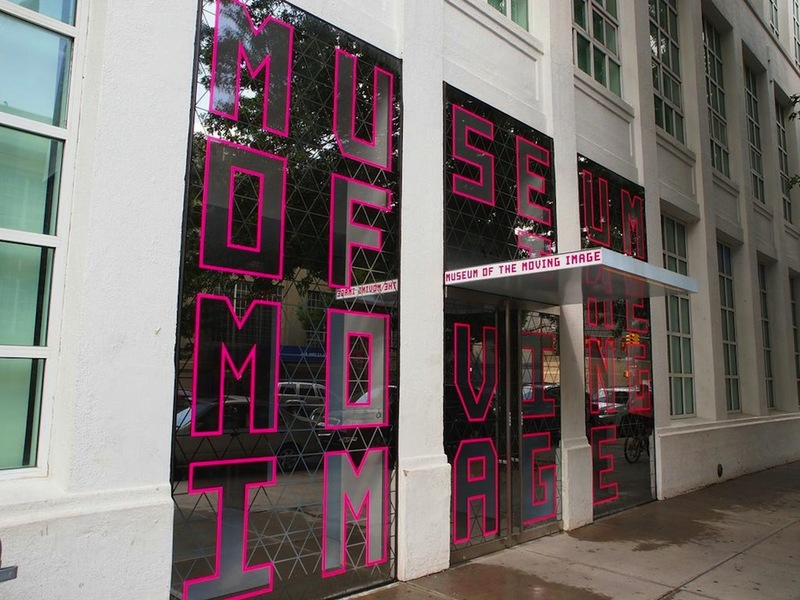 A WHA fave, the Sparrow Film Festival kicks off June 16th at MoMI. Join them for an evening of films, food, drinks, awards, and live entertainment as they celebrate this year’s honorees and the spirit of filmmaking in Astoria. 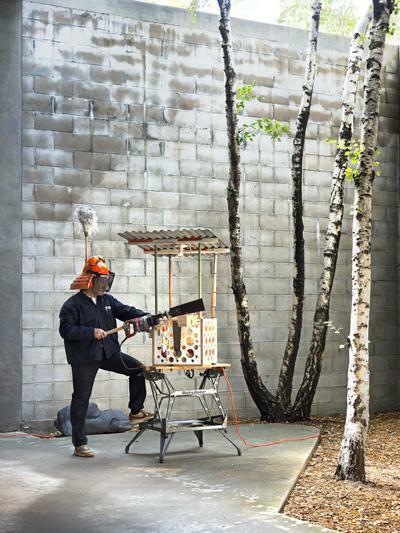 For the sixth year in a row, The Noguchi Museum partners with Bang on a Can to present an innovative performance series held in the Museum’s outdoor sculpture garden. Kicks off Sunday, June 12th. Get the full deets here. Extended Summer First Friday hours continue this summer with free gallery talks, and a cash bar and drinks in the garden in the evening. 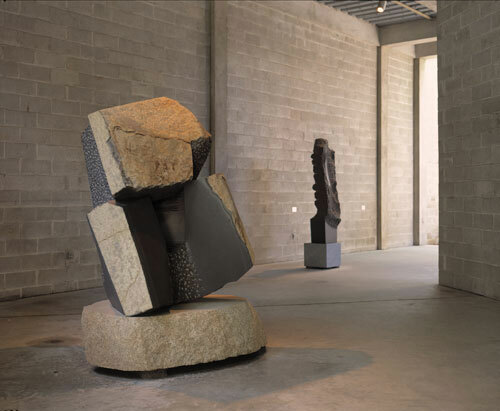 Get the full scoop on Noguchi First Fridays here. 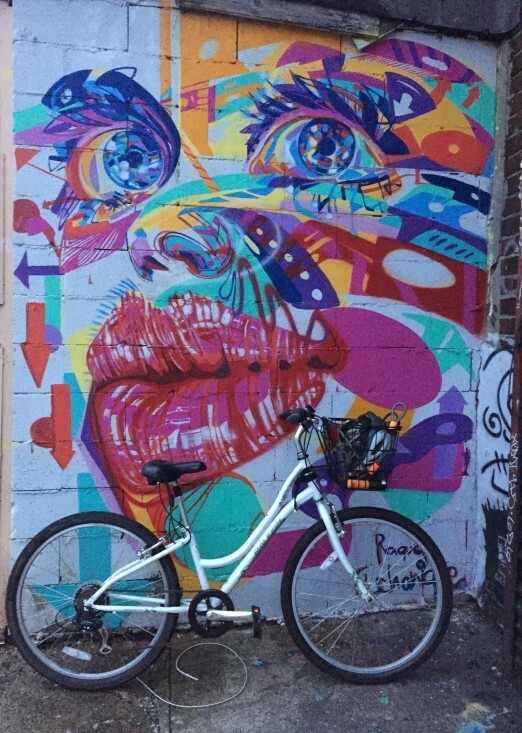 Sunday, June 11th, transform your bicycle, tricycle, or scooter into a mobile work of art and then flaunt it in their annual LIC Bike Parade. The festivities kick off at 11am. 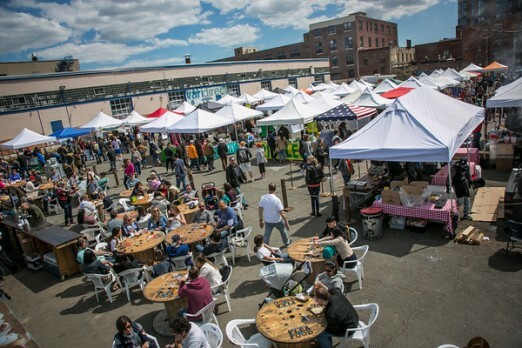 Check out our annual no-nonsense list of upcoming summer and fall street fairs in Astoria and LIC, as well as Sunnyside, Woodside, and Jackson Heights. 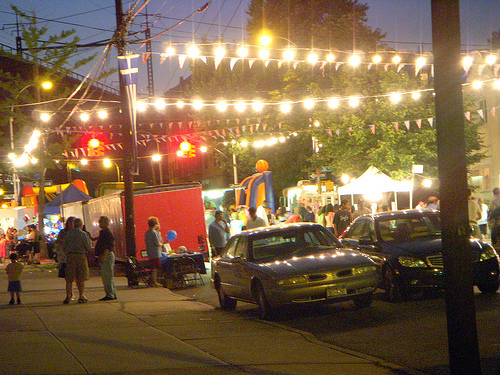 Puppets, poets, jazz and more all right on Vernon Blvd. Events kick off July 26th. 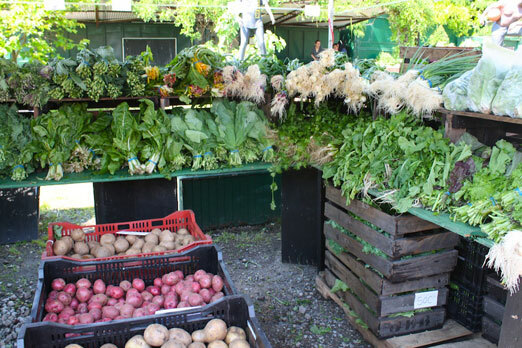 Shop one of our original greenmarkets at Socrates Sculpture Park Saturdays from June 4th to November 19th. PRO TIP– bring your compost to the market to be collected by NYC Compost Project. 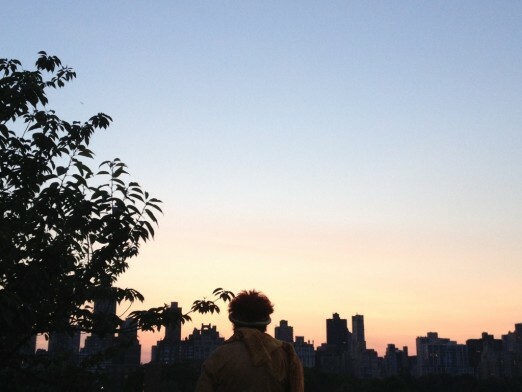 Haven’t checked out MMNY yet? 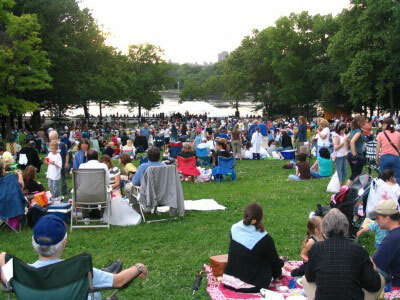 This year is the perfect time to take in their live, free musical celebrations on June 21, the longest day of the year! 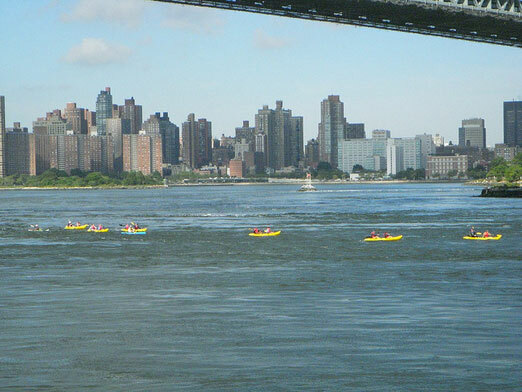 Click here to find all the best places in LIC and Astoria for free music. 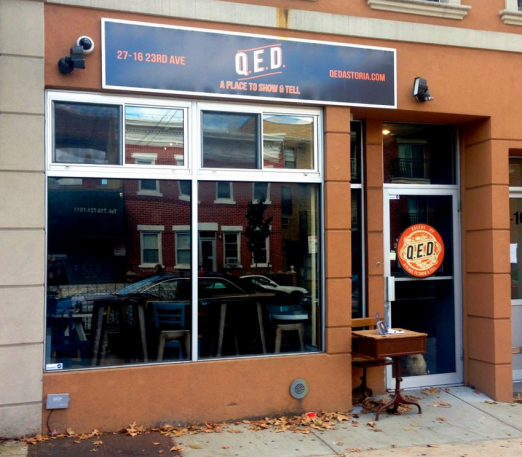 Yoga, puppets, Shakespeare, and a reading room for kids? It must be the Astoria Heights Playground. 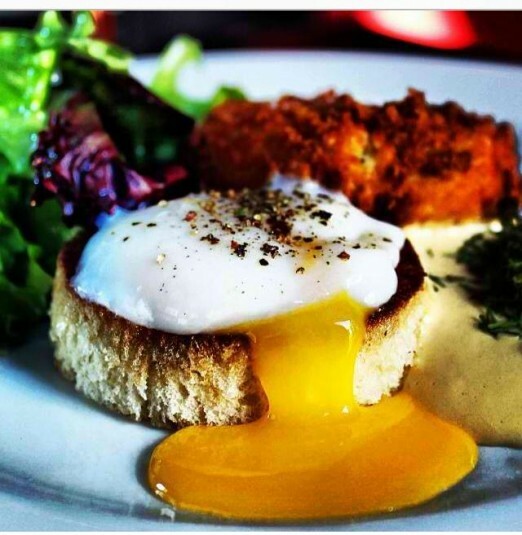 Celebrate the first weekend of Summer with Ditmars’ favorite shop, The Brass Owl. 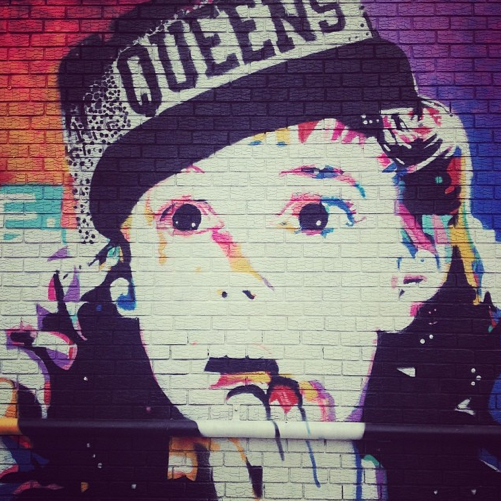 Treats, deals, a Queens88 pop up shop, and specials await you June 18th. More info here. We can’t think of a better way to spend a sweltering, stick hot NYC day than in the cool confines of MoMI playing classic video games. We’ll be trying our hand at Asteroids, Space Invaders, Ms. Pac-man, and Donkey Kong just to name a few. 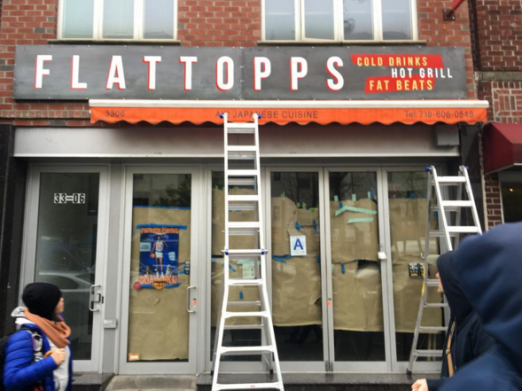 Rumor has it new Ditmars burger joint Flattops will be opening early this summer, bringing “cold drinks, hot grill, fat beats” to the Ditmars area. Follow them on Instagram here for the latest updates. He’s back! Our favorite literary character will be hiding in lots of Astoria & LIC spots again this year- don’t miss this month long hide-and-seek game, perfect for fun seekers of all ages. 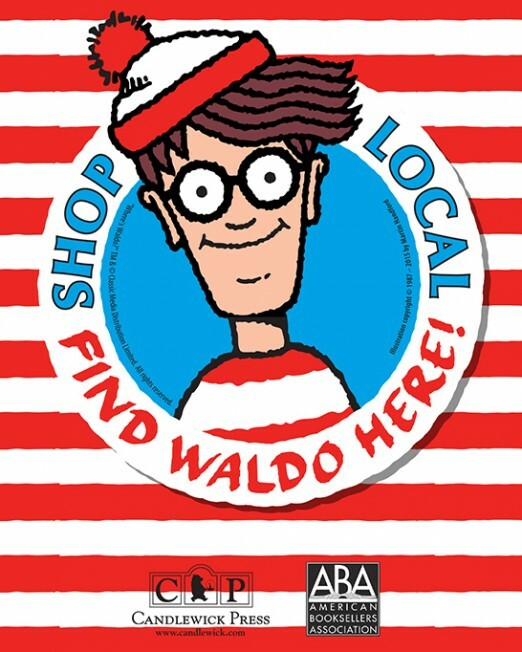 Details on their fb page- Where’s Waldo in Astoria. Bring your friends and family to Socrates to celebrate the longest day of the year, June 21st! This year’s Summer Solstice Celebration will feature vibrant afro-Brazilian drumming, a performance and capoeira demonstrations, and an eclectic selection of delicious Brazilian BBQ. 30. Run in The Park! 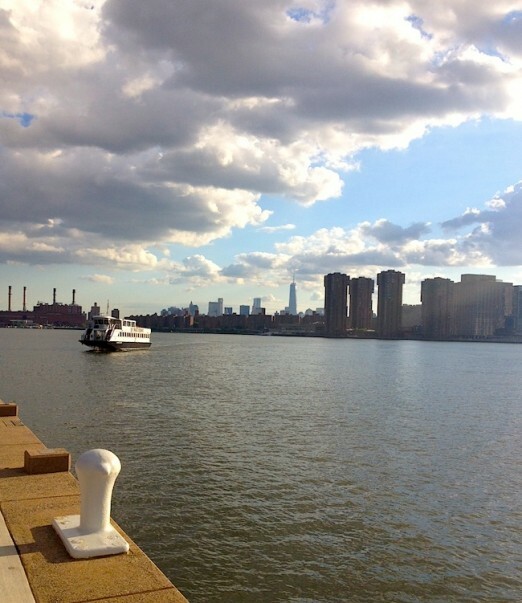 Taken at Hunters Point South Park in LIC. 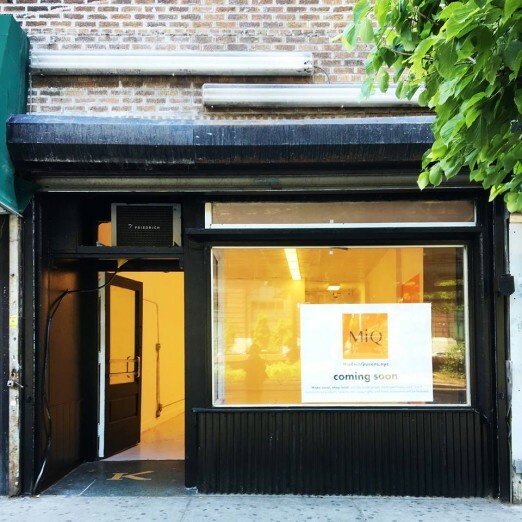 Look for newcomer MiQ (Made in Queens) Pop Up Shop to open later this June, chock full of Queens made items you’re sure to covet. Full details including how to apply to become a vendor here. Astoria is lucky to have two very different beer gardens to choose from. For the classic experience, spend the day at Bohemian Beer Garden full of pierogies and pitchers of czech beer. 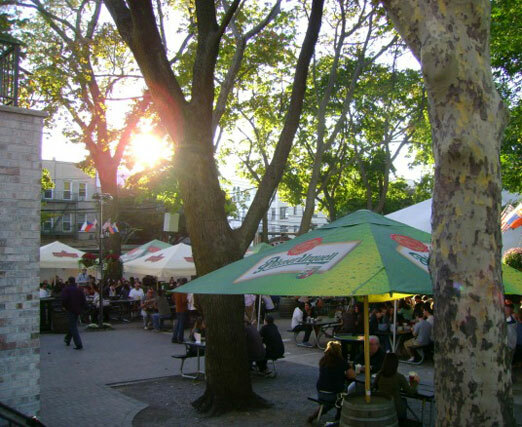 For a newer garden experience, head to Studio Square where you can pair your risotto balls with sangria on tap. 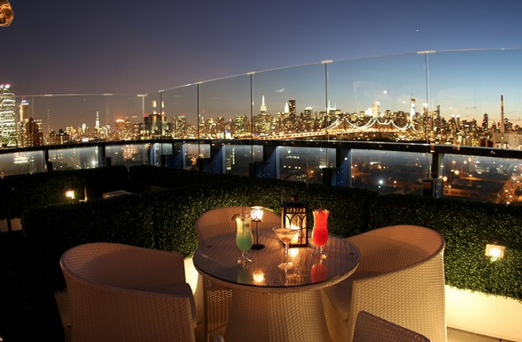 Grab a drink at one of these awesome rooftop bars with mesmerizing city views: Vista Ballroom, Z Hotel, and Penthouse 808. Ready for an intense workout this summer? 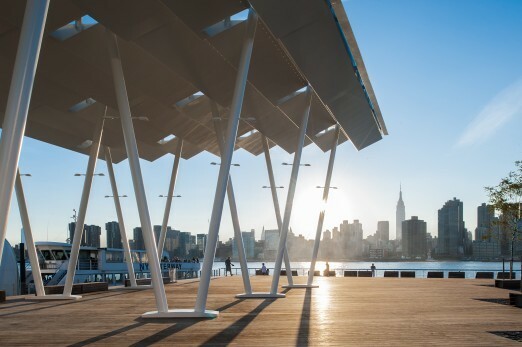 We’re excited to check out Summer Shredd in Gantry Park, happening Sundays at 10am. 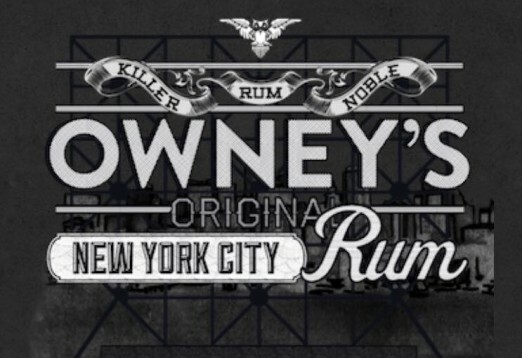 Have you heard about Astoria’s Hawaiian inspired bar set to open this summer? 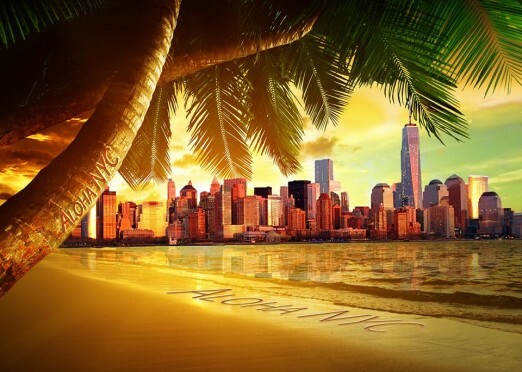 We can’t wait for tropical inspired drinks in a little slice of paradise. 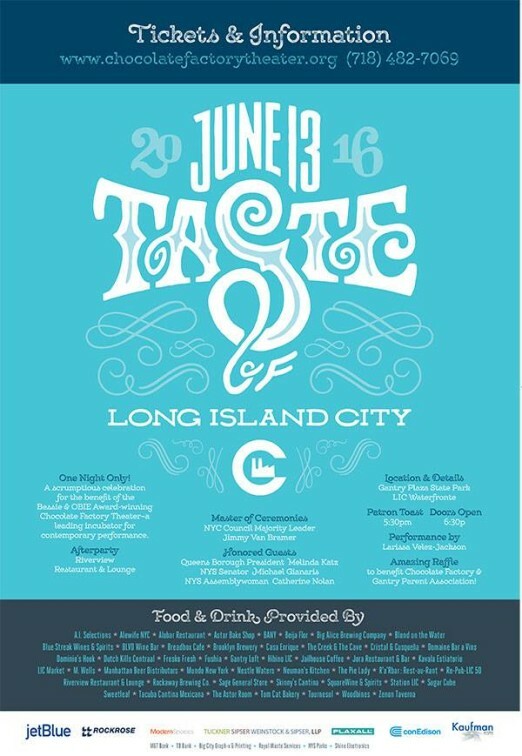 The eleventh annual Taste of LIC is back and better than ever. A WHA fave event, Taste of LIC is full of killer food, networking, and amazing city views- all while supporting local the local arts scene. 40. Go To an Ice Cream Party! 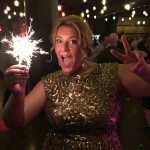 Join the Queen of Astoria for one of her famous ice cream socials. DJs + BBQ + ice cream + beer. 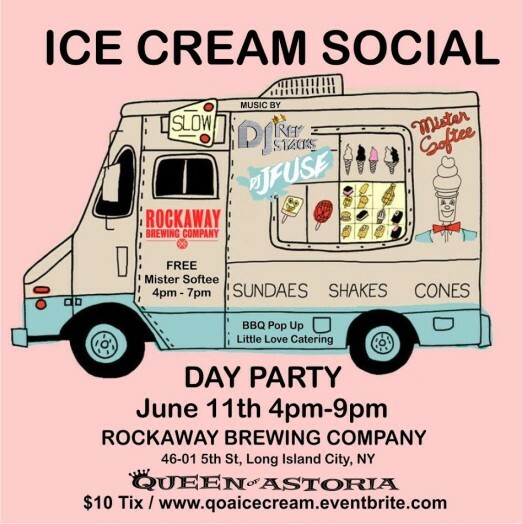 Happens at Rockaway Brewing Company June 11th from 4-9. 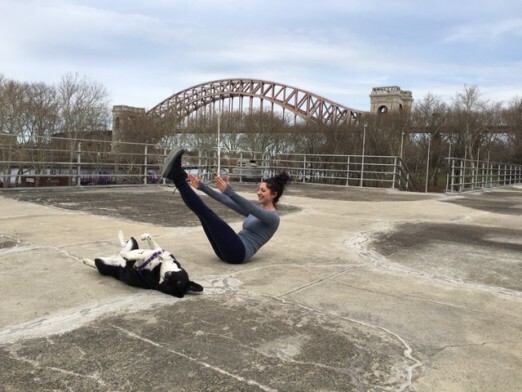 Take a Pilates mat class in Astoria Park on the pool terrace every Saturday morning at 9am through the end of June. Students must bring their own mats and can connect on Instagram or on the ShapeUpNYC website (choose: Saturday, Queens) for more information. 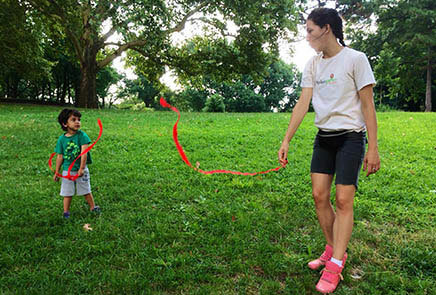 Take the littles to an outdoor class in Astoria Park! Tinkergarten holds weekly classes aimed at a variety of age groups, where activities progressively build week after week, season after season. Get the full scoop here. 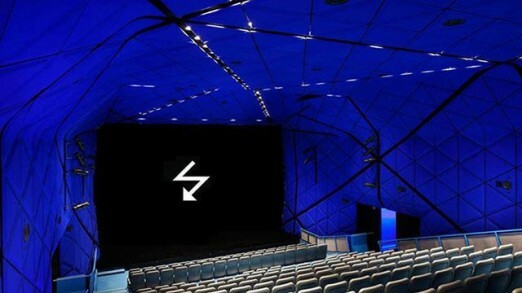 We can’t even….new Harry Potter?! We’re so in. 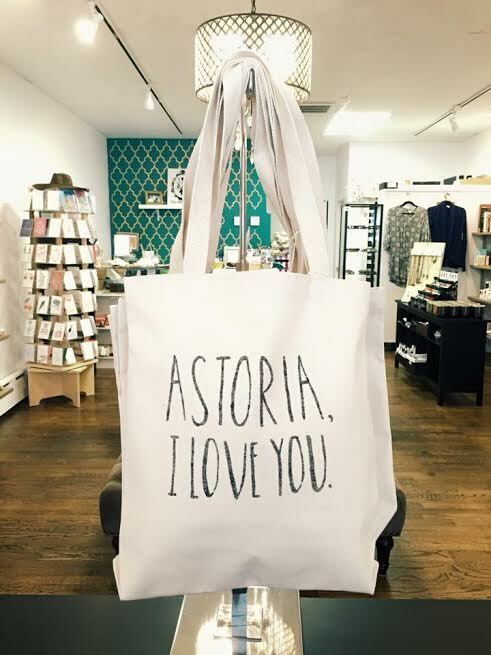 Join Astoria Bookshop at their midnight release party of Harry Potter and The Cursed Child on Saturday, July 30th at 10pm. That’s right. 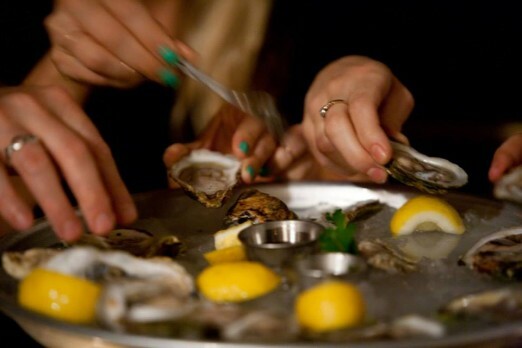 A second entry just for oysters, that’s how committed to these little briny beauties we are. 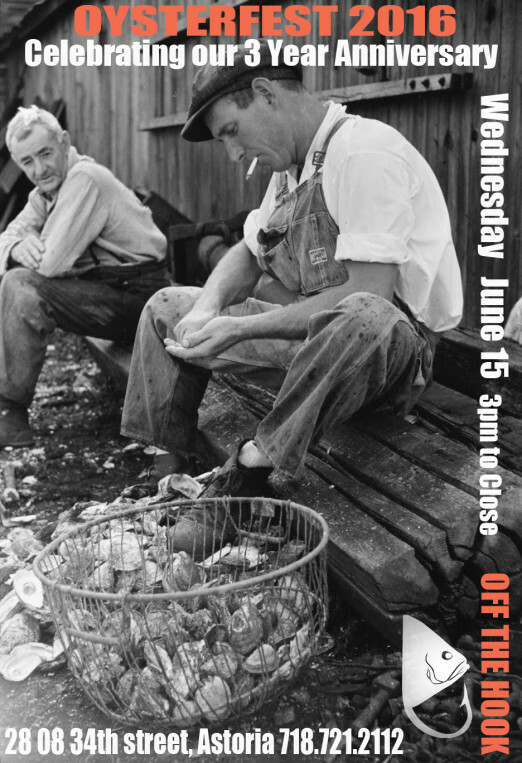 Off The Hook is turning 3 and celebrating with all things OYSTER. Grab a cocktail and watch Hamilton just crush the competition (BONUS! James Corden is hosting!) 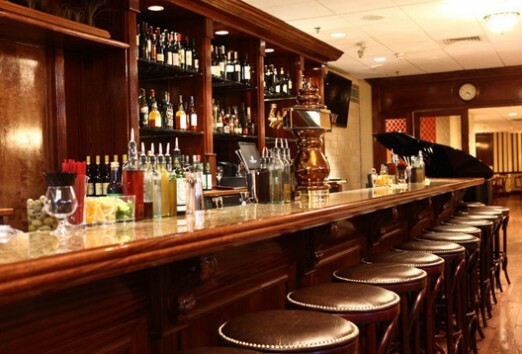 The Astor room hosts this live Tonys Viewing party complete with beer or wine and passed hors d’oeuvres. June 12th, Tickets here. Tuesday night’s just got way more playful! 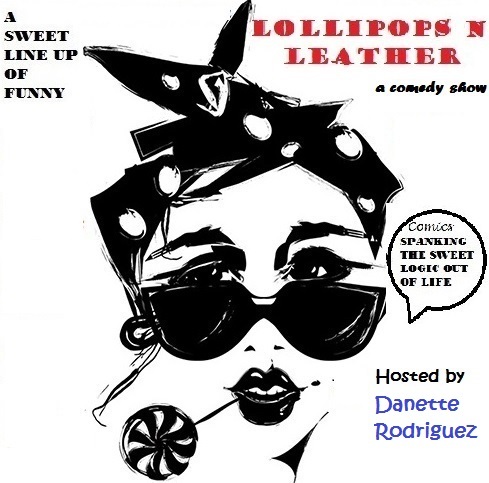 Lollipops and Leather is a monthly mismatch of comedians spanking the sweet logic out of life. 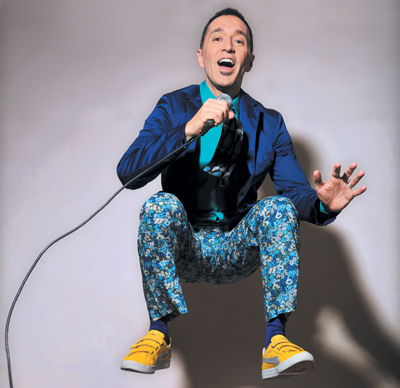 The show prides itself on its diverse lineup – making sure audiences hear all voices. This quote says it all, “His signature dish is the “Shack Bites,” which are made with scrambled eggs, potatoes, bacon and cheese that’s dipped in pancake batter and rolled in honey corn flakes and deep-fried. 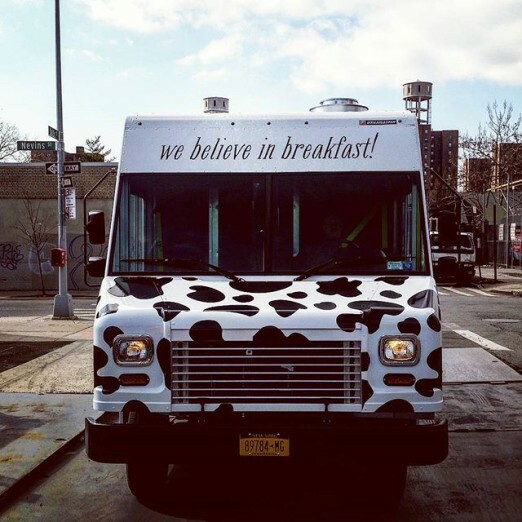 “Basically breakfast in a bite.” The full scoop is here, including where to find them in Astoria this summer. The Welling Court Mural Project happens June 11th, with a tour of more than 40 murals painted by legendary artists. We hear the awesome folks at Sticker Social Club will be rocking sticker-making workshops all day, so get ready to create some magic. 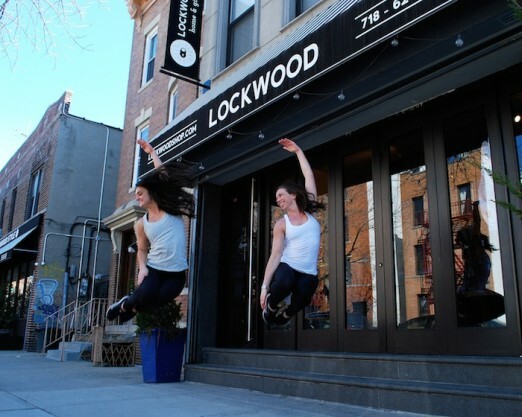 Lockwood’s semi-annual Epic Clearance Sale kicks off July 22nd. 50-75% off 100’s of items. + The Ramones exhibition closes July 31st at the Queens Museum, but don’t miss this Heavy Metal Flea happening June 25th. + Fly By Night, an interactive LIGHT UP display of trained carrier pigeons happening this summer in the Brooklyn Navy Yard. + The Only in Queens Summer Festival in Flushing Meadows Corona Park. + Make sure you check out Queens Nightmarket. Eat all the noms! + Grab a burger at the new Forest Hills Shake Shack. + Get tacos at this hip beach club in the Rockaways. Don’t forget to up your child’s chops at an Allergic to Salad cooking class!